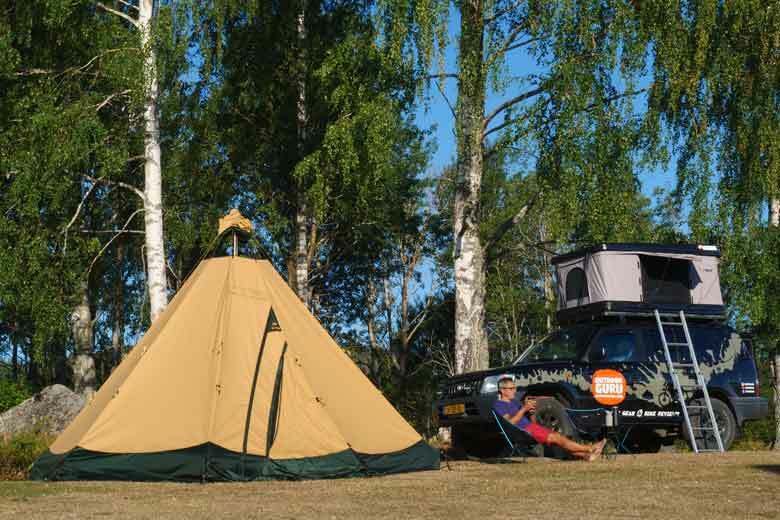 The Tentipi Safir 7 CP is a Swedish family teepee and sort of a lightweight tent. 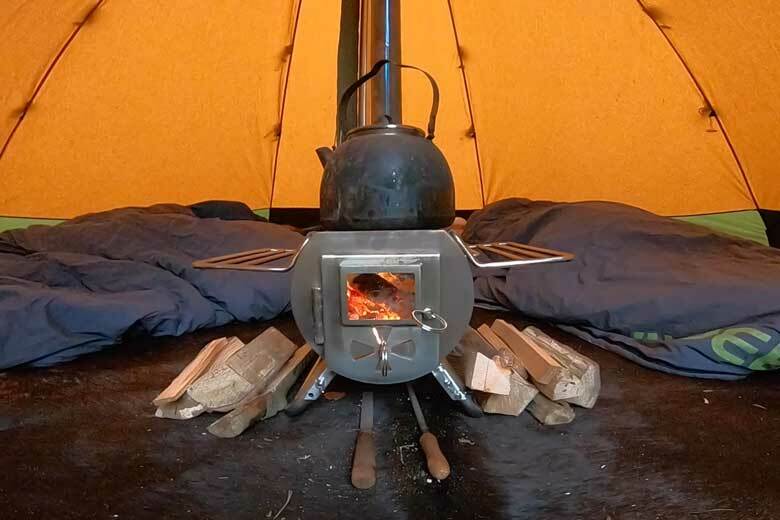 And since I’m love with Teepees’s… And I test the G-Stove on the go. Read the review or watch the video! The Tentipi Safir 7 CP may not fit quite with the small lightweight tents that I normally test. 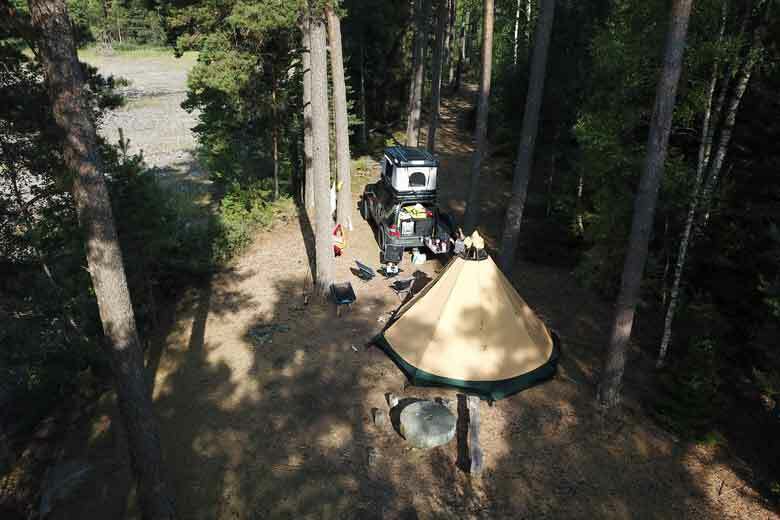 And yet I find this Swedish compact family tipi indeed a lightweight tent. And since I'm love on Teepees's concept, a review is definitely in place! The Tentipi Safir 7 CP may not fit quite with the small lightweight tents that I normally test. 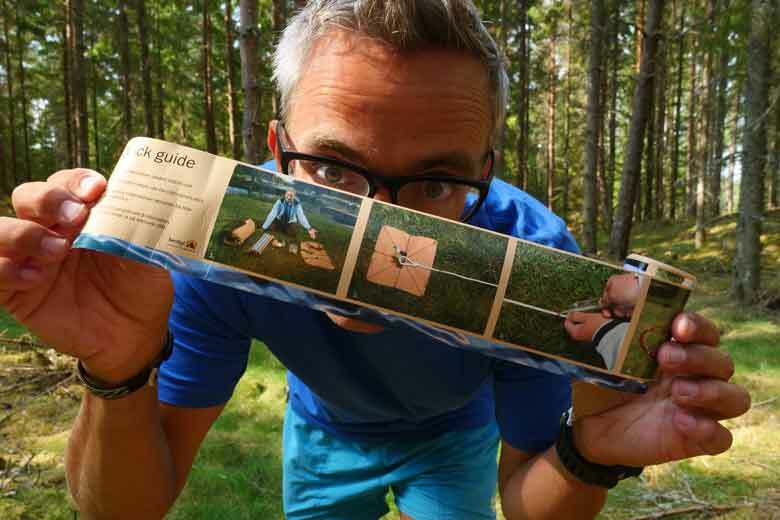 And yet I find this Swedish compact family tipi indeed a lightweight tent. And since I’m love on Teepees’s concept, a review is definitely in place! 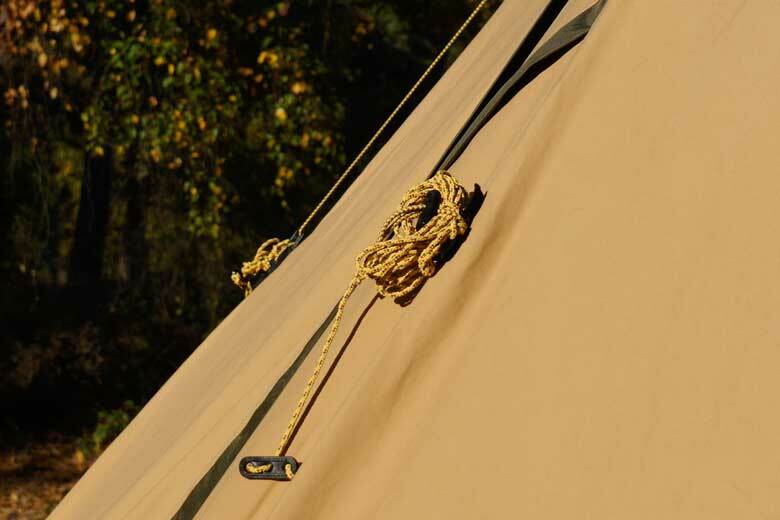 The Tentipi Safir 7 CP is the second smallest tipi in the Safir series. The tent is suitable for sleeping 6 to 8 people. In Practice It is more a compact family tent for a family of two adults and Max 2 a 3 children. As long as they are not too big. I weigh the tent completely at 13,954.6 grams. 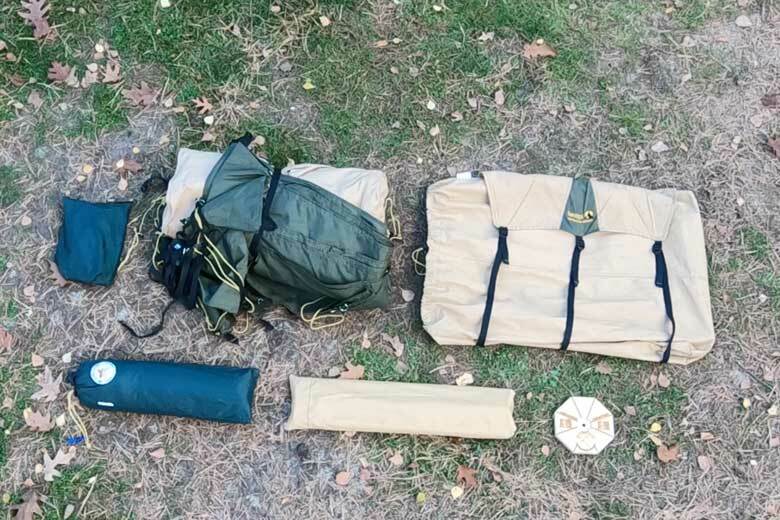 The Tentipi Safir 7 CP consists of an outer tent (9303.5 grams), an aluminium stick (1033.5 grams), a bag of herring (1663.9 grams) and a ground sail (1427.1 gram). The latter is not delivered by default at the tent and must be purchased separately. An inner tent is also optional. In The bag of herring you can find a user manual. The Drybag (526.6 grams) is extremely spacious and has super compression belts. Wrapping the tent is therefore child’s work. According to Tentipi, the Pakmaat is 27 cm x 62 cm but that is without the ground sail. I measure a more realistic size of 33 cm x 69 cm. Still quite decent if you go with a compact car or canoe on holiday. The outside tent is made of a Cotpolmex. This is a fabric of polyester and cotton and has a weight of 285 gr/m2. That also explains the weight of the tent. Cotpolmex is made by the Dutch tent canvases Gigant Ten Cate. The beautiful of polyester/cotton cloth is that it combines two advantages with each other. Polyester is strong and light and cotton is relatively heavy but breathable. This last characteristic is particularly important for the quality of the environment in a tent. Most tents are now made of nylon or polyester with a waterproof coating. 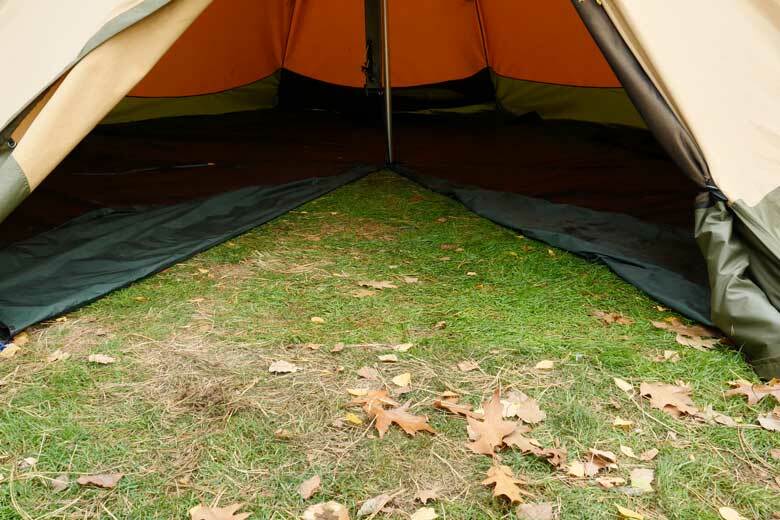 This coating is also airtight which allows ventilation of the tent only by adequate ventilation openings. So that you often suffer from condensation is not so surprising here. For cotton tents and polyester cotton tents, ventilation is also important, but because the cloth can breathe, such a tent gives less condensation and a very pleasant climate. I speak from experience that this does not only apply with less weather. Also in warm weather, polyester/cotton tents are very pleasant. Moreover, it is not the whole tent of this ‘ technical cotton ‘. The bottom green rim is polyester with a polyurethane coating on the inside. This prevents the wet of bottom from creeping up in the cloth. In addition, these edges are also well suited to dig into snow, which makes the Tentipi Safir 7 CP – and all its siblings – excellent winter tents. Of course, the cloth has a DWR coating (DWR = Durable Water repellant) on the outside, so rain does not sit immediately in the cloth, but it is a gem. Also, the cloth is treated against UV and any rot. This is pleasant because you should be able to spend a few days with a wet tent on the road. I mentioned it before: the instructions for use. It consists of a tube with a roll-out instruction. Another USB stick is also included with the same instructions. The setup instruction is not only for the Tentipi Safir 7 CP but works for all Tentipi’s. This instruction is not included in the tent I am testing here. ‘ My ‘ Test tent is a demo model that I have been allowed to borrow from the Dutch store Moosecamp. And at Moosecamp they know how to set up a Tentipi. To set up a tipi, Tentipi has devised something clever. 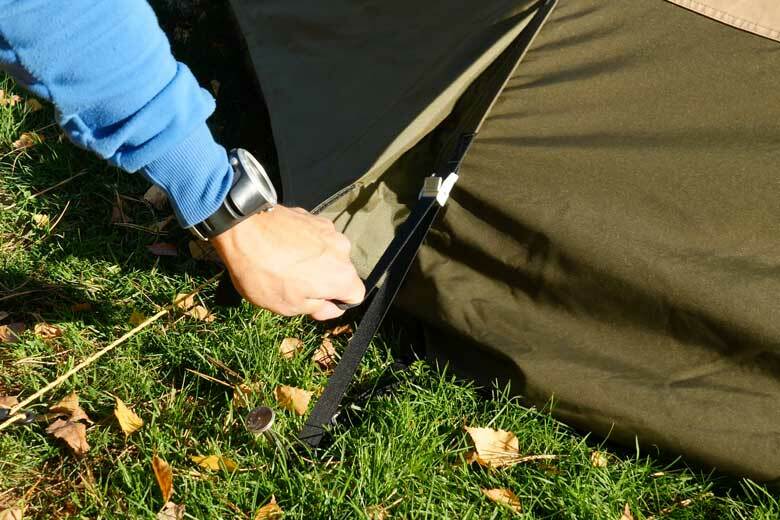 The tent is supplied with a fabric cloth with a kind of compass that gives the direction of all pegs. Now Moosecamp has improved this set-up and has become a beautiful plank. On the canvas (and plank) are several tent types so you have to choose your copy. The plank (or cloth) is accompanied by a ribbon with markings. Also here: Different types on a ribbon. At the Safir 7 CP you choose the 7. 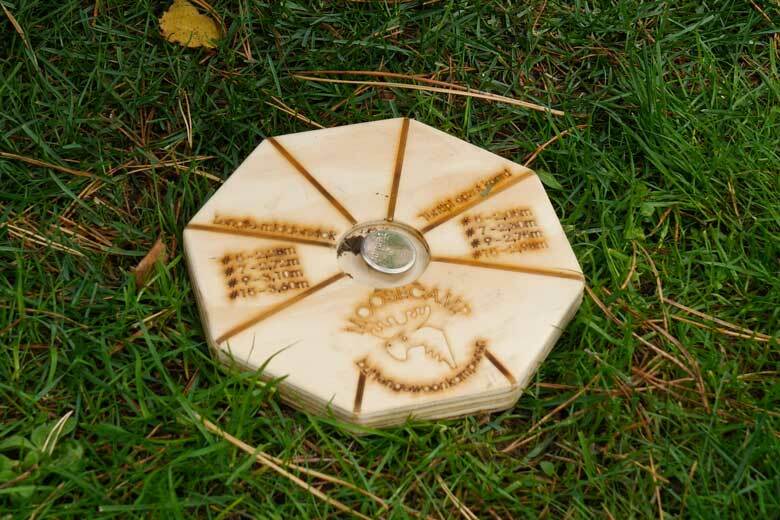 By securing the plank with a herring in the ground and the Ribbon to loop the herring, you can measure exactly where and at what distance the 8 pegs have to stand from the heart – the Middenstok – of the tent. With the eight herrings in his place, only one issue of the tent is rolled out, the metal eyes placed around the pegs and the middenstok can do it. Stick upright, ground sailing places, all around everything and the tent stands. Very much simpler it can not. 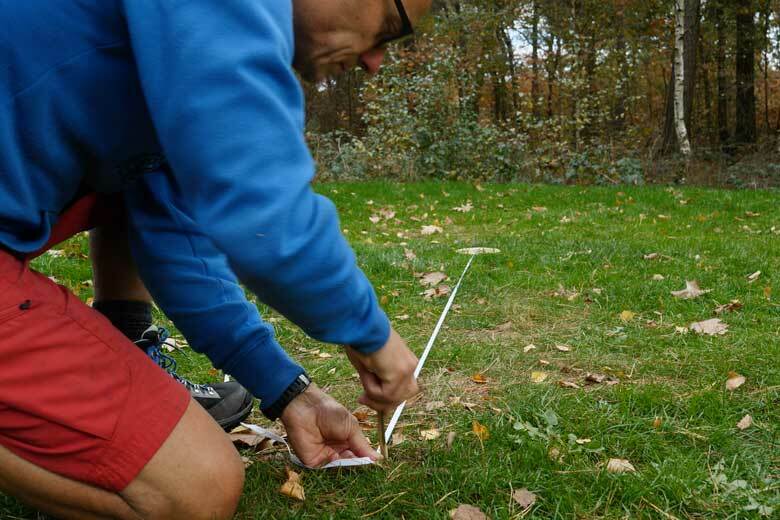 Although… with a lot of wind you can place no less than 8 double shaving lines (16 so). Windproof is the Safir 7 CP for sure! he set-up tool and a cord, the pegs are in the right place. tipi Safir 7 CP has good tensioners for the tent canvas and the ground sail. I test the Tentipi Safir 7 CP without inner tent and therefore you have a lot of space: the inside diameter is no less than 4 meters and 50 centimeters. This is ample enough for 2 adults and two children plus a hefty amount of bags, crates and even a few chairs. Because it is one space, the most logical format is 2 on one side of stick and two on the other side. The ridge height of 270 cm is a blessing, especially for longer people: you can easily dress up and unclothe. The outside tent has three large ventilation openings with mosquito nets and of course a flap with zipper so you can also close them. But this is not the case with these three ventilation openings. 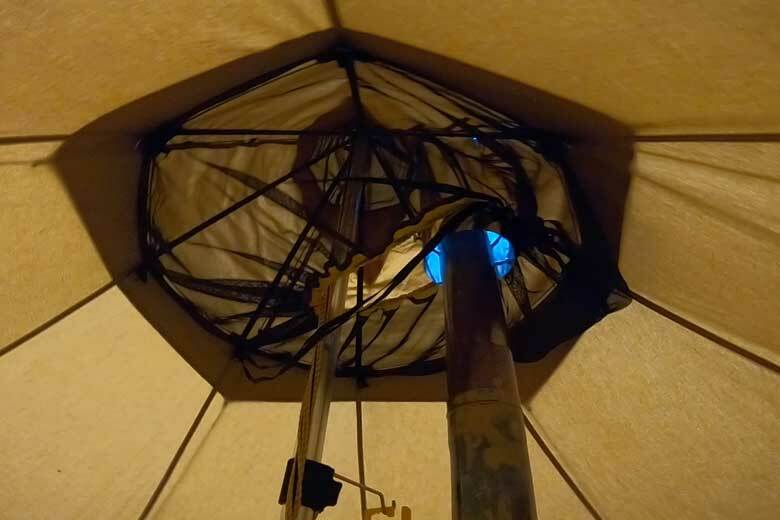 In the ridge of the Tentipi Safir 7 CP is a very ingenious ventilation system. With a number of strings coming down through the stick from the ridge, you can open the ‘ pet ‘ in the ridge in a variety of different ways. And that’s handy because the ridge itself is too high. The system works Super: Depending on the string you are pulling, a part of pet opens. By pulling all the strings you have maximum ventilation. The tent has a two-zippered door on the front. 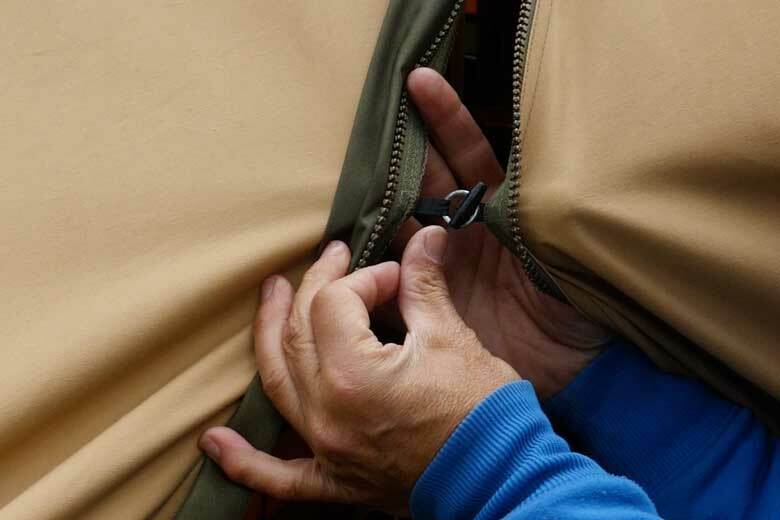 By opening a zipper and rolling the flap away, you keep a large surface with mosquito netting. Handy during hot summers at places with lots of mosquitoes. Both screens can be closed with a zipper and a cloth. With the longest zipper you open the door yourself. I’ve mentioned it a few times: the Tentipi Safir 7 CP is a Four Seasons tent. Not only because of its snow flaps and the choice for Poly-Star Cotton, but also for something that Tentipi is especially familiar with: a wood stove in the tipi. 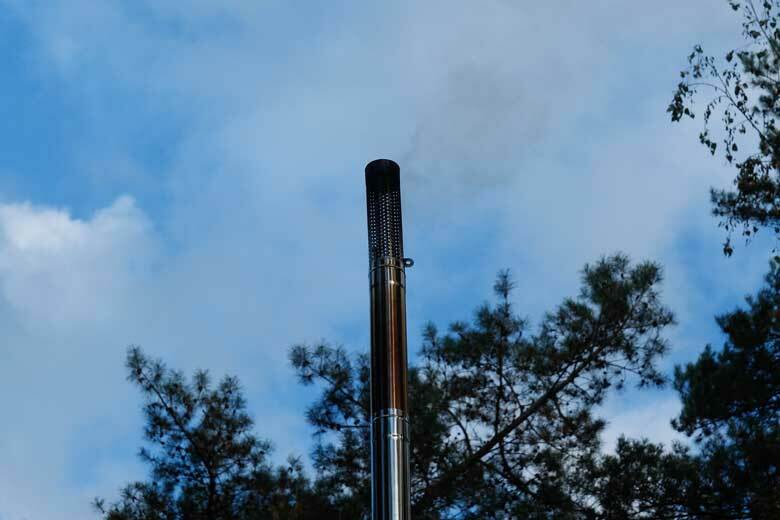 Look around the Internet and you will find a multitude of wood stoves specially developed for tents. 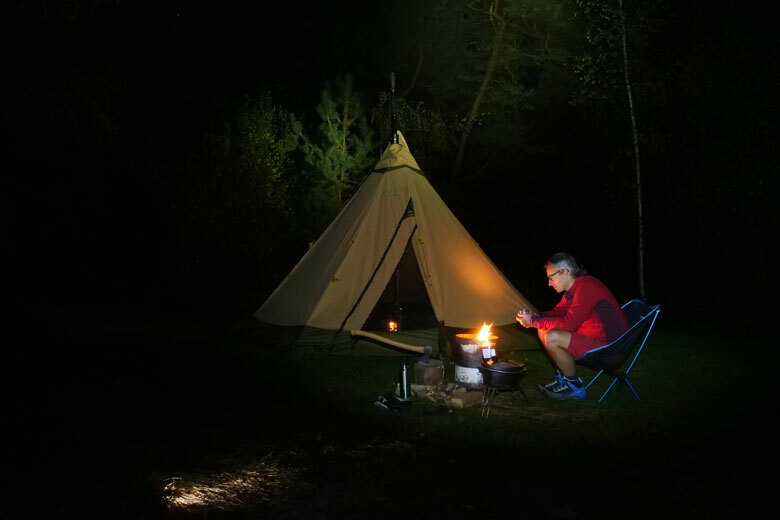 Tentipi has one myself, but I test the Tentipi Safir 7 CP with a Gstove, a stainless steel wood stove that Moosecamp me recommend. The seating of the stove is simple. Folding Paws, building chimney and placing the whole in the tent. Especially for the stove there is a special throughput for the stove pipe in the cap. With Velcro you can close it when there is no pipe running through it. I do not recommend placing a single-walled heater pipe, because you could damage your tent once. Gstove has a kind of outer sheath for the stove pipe and passes through the feed in the cap. On top of the stove pipe I recommend you to place a spark catcher. This way you protect the tent canvas, but also the surrounding nature. I always put the stove on a cow’s skin to protect the Tentipi floor from Sparks when I open the stove door. Gstove also provides special fire resistant mat that can be placed under the stove. The Gstove is a perfect small stove and thanks to the glass door he is also very cosy. The metal racks can be folded on top of the Gstove, as a hot plate, or to the side as socks dryer. In the door there is a very nice control valve that does his job well. Small disadvantage of the Gstove is that the heat sits directly in the stainless steel or in the stove pipe and thus is slightly less efficient than stoves with a flip valve in it. The Tentipi Eldfell Pro has this for example. For nice winter camping pears, a stove is almost a must, but also in just a colder and damper weather it is ideal. The tent stays warm and dry and games around the ‘ campfire ‘ while the stove is still cooked… I don’t know a better tent night. The heater throughput works fine with a double heater pipe. Keep in mind that the mosquito nets do not touch the pipe. Whoever has seen or read the Tentipi Olivin 2 test, knows that I have made quite a point of inrain in the inner tent when the door goes open and close. Why am I not doing that at the Safir 7 CP? I have two reasons for this. First of all, you can fold the ground sail so that rain just falls on the grass. 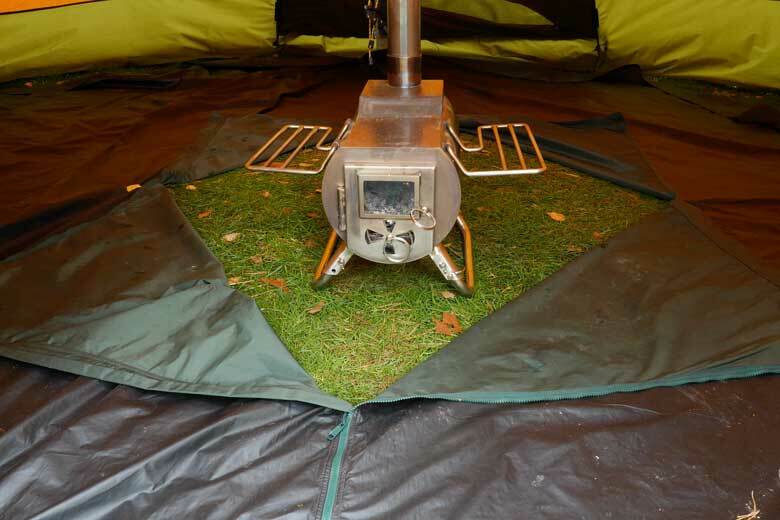 In the second place evaporates a little moisture in a polyester cotton tent much earlier than in a tent like the Olivin 2 Combi; The stove also helps of course. 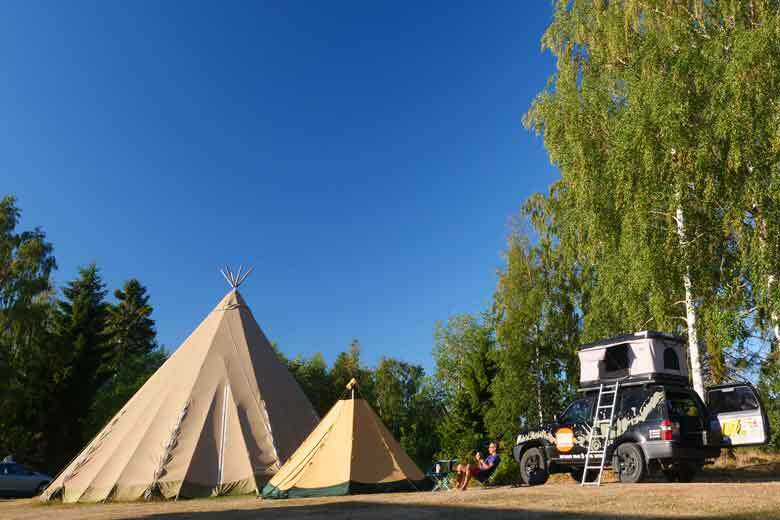 And if you want 100% free of rain the Tentipi Safir 7 CP in and out – or want to sit outside under an awning – then Tentipi and Moosecamp have a good choice of different awnings for the Safir series for a while. Just like the Olivin, you attach it to a piece of velcro over the entrance. I find the Tentipi Safir 7 CP One of the very best tents on the market. It is easy to set up and quickly break down. The weight of almost 14 kg is a part of the amount of space, the materials chosen, the high level of finish. With those 14 kilos and the neat pakmaat, the Safir 7 CP is perfectly suited for canoe and car vacations. The tent is spacious enough for a family of two adults and 2 to 3 children and their stuff. The poly-Star cotton cloth creates a wonderful climate in the tent. If you are of the type ‘ trekking holiday ‘ then the Comfort ground sail is sufficient, you stand in a place for a long time: choose the heavier Bysonyl. The biggest advantage is that it is one of the few tents that can really be comfortable in all seasons: put a stove in it and even if it freezes outside it that it cracks, you have within a delicious 20 degrees (or more). I do not think that this is going to be a big price. The Tentipi Safir 7 CP costs €1860,-and the ground sail €300,-. Add at least €500,-for the stove. For about €2700,-you have a Fantastic Four Seasons holiday retreat for years to come. 9.6/10 points (5 stars)!